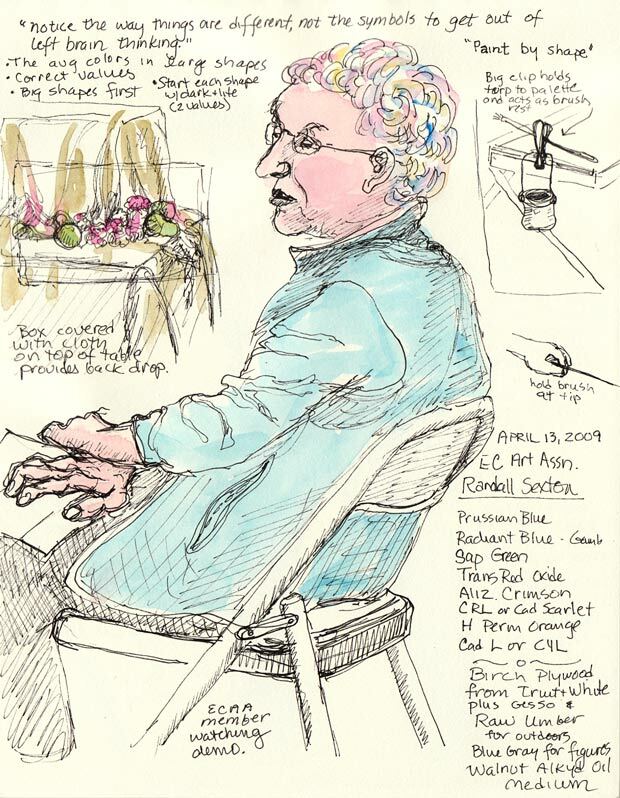 Monday night Randall Sexton did a still life demo at the El Cerrito Art Association meeting. 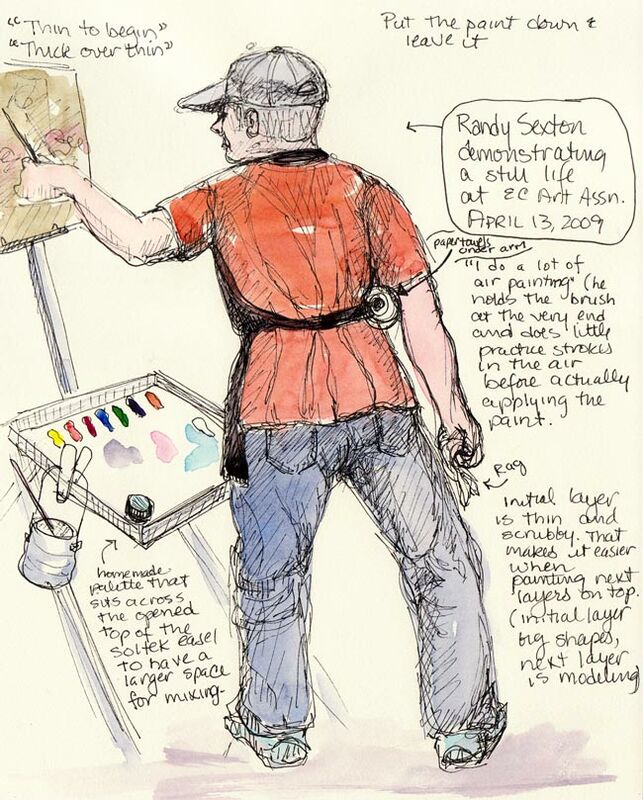 It was my first time attending an ECAA meeting but my second time with Randy, as I’d taken a weekend figure painting workshop with him last summer. He is an excellent painter and a gentle teacher. He was ready to start painting right on time and waited patiently for at least half an hour while the friendly group took care of business matters and announcements. I’d been struggling with a still life painting that day so the demo came at a perfect time and I left knowing exactly where I’d gone wrong with the painting. Some days, just knowing where I’ve gone wrong is as good as it gets. Next Post: Are You a YES or a NO (or a Maybe)?